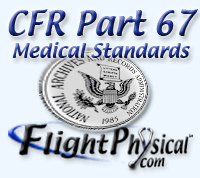 Below is the CFR (Code of Federal Regulations) specifying requirements to release medical records to the FAA or AME. applicant, deny the application for an airman medical certificate. (b) If an airman medical certificate is suspended or modified under paragraph (a) of this section, that suspension or modification remains in effect until the requested information, history, or authorization is provided to the FAA and until the Federal Air Surgeon determines whether the person meets the medical standards under this part.